The first step is to obtain your registration code for Colectica for Excel. There are two different versions: the Standard edition and the Professional edition. 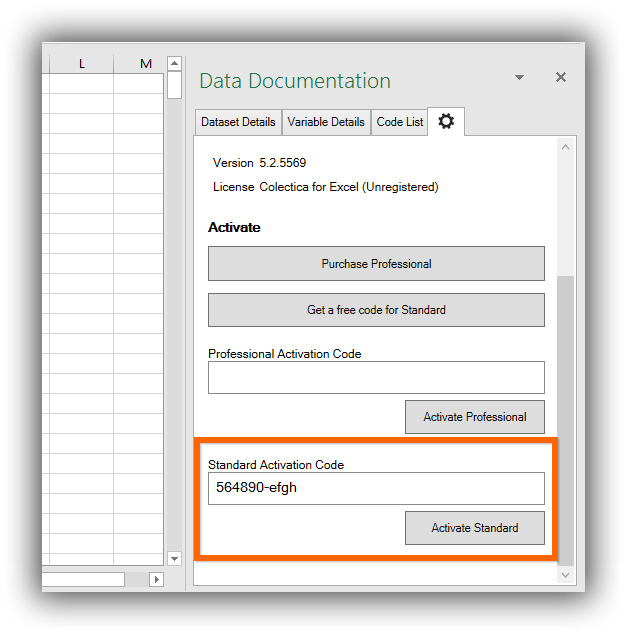 You can obtain your registration code for either version from the Colectica for Excel page. After installing the Colectica for Excel addin, open Microsoft Excel. On the Colectica ribbon tab, click the Options button. 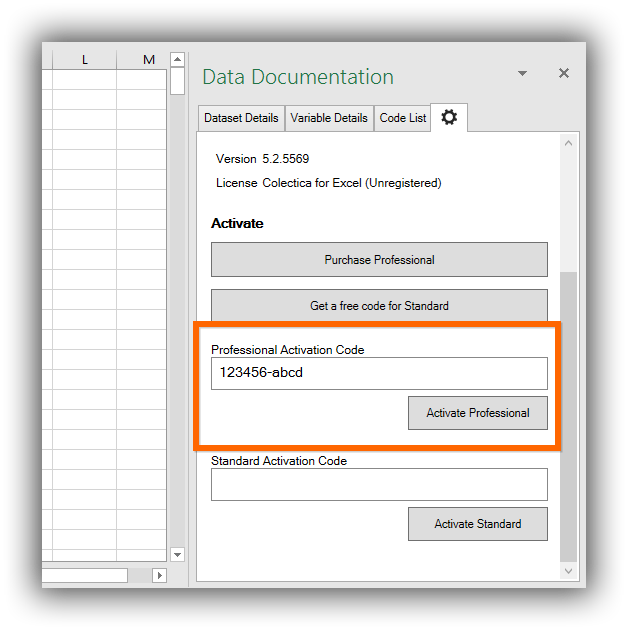 If you are registering the Professional version, enter your Professional Registration code in the Professional Activation Code text box and click Activate Professional. If you are registering the Standard version, enter your Standard Registration code in the Standard Activation Code text box and click Activate Standard. If you would like to upgrade from the Standard to Professional version, you can purchase the Professional version from the Plans page. A new Professional Registration code will be created for you, which you can enter into the Options menu.